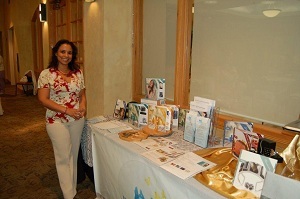 It is no secret that the recession had forced many companies to work with a much smaller team. This is where your administrative support comes into play. 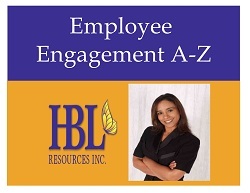 Administrative professionals can help in all areas of the workplace such as identifying money saving techniques and helping understand today’s technology to better improve business efficiencies. According to a survey conducted by the International Association of Administrative Professionals, more than 4,400 administrative professionals and 500 managers want the opportunity to expand their responsibilities and amplify their abilities. Here are some tips on how to do just that! 2. Do not be afraid to offer help in negotiating with certain vendors. A fresh pair of eyes and ears never hurt anyone. 3. Give yourself the upper hand by knowing the in’s and out’s of today’s technology. The more technical training you have as an administrative assistant the more your entire company will benefit. If you are like many leaders, your daily schedules are crammed so full of meetings, commitments and your life that you rarely have the luxury to sit down, relax and plan thoughtfully. However, being prepared will give you an edge in conducting effective meetings for your organization and ensure that they are kept to an efficient timeframe! 1. Meetings should be scheduled regularly and at the same time & place if possible. This helps to create a sense of habit within your organization. If everyone knows that staff meeting is on the second Thursday of every month, then there’s no reason for people to be schedule themselves for anything else. It also assists in time management for you as well as being considerate of their time as well. 2. Identify the purpose(s) of the meeting. What is the real reason you are meeting? Is it to brainstorm, cross-communicate, provide instruction, or simply give new information? It may also be a combination of one or more of these things. 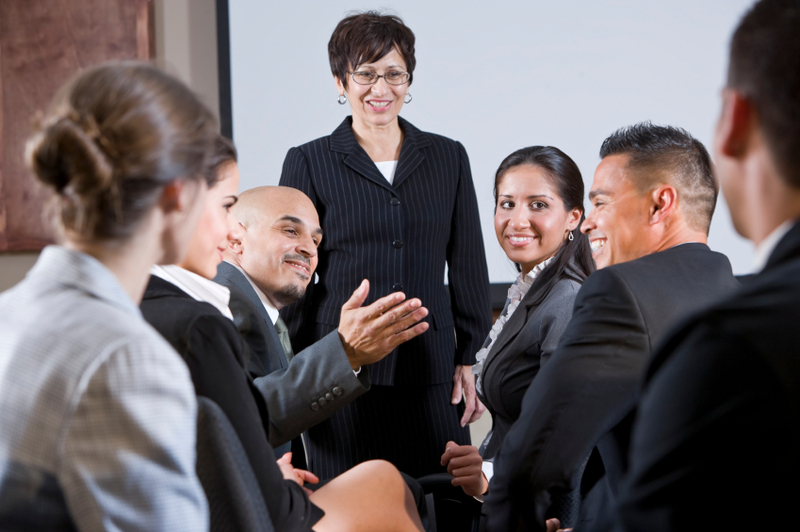 Every meeting participant has a role to play to ensure a meetings effectiveness. Below are some tried and true roles that help to ensure your meetings are not only engaging and effective but also give employees a chance to assume some leadership responsibility for the meeting. This creates both an engaging and efficient meeting. 12 tips for better e-mail etiquette. 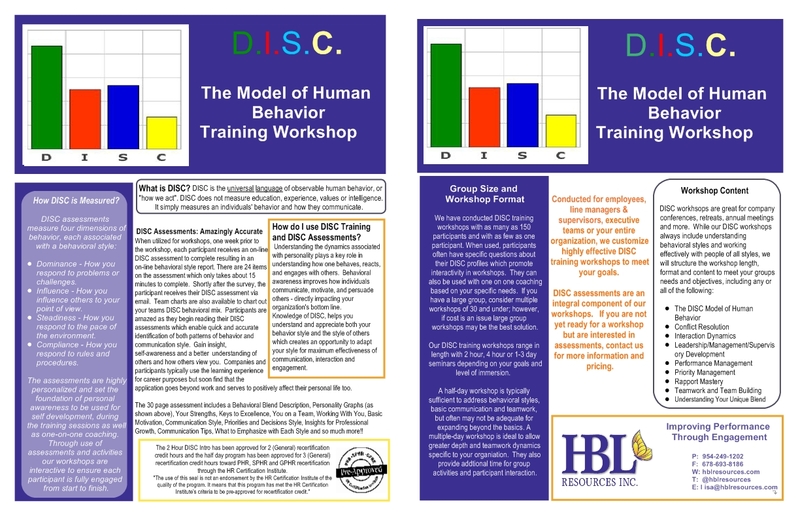 Find our more About our DISC Model of Human Behavior Training. Conducted for executive teams, line managers/supervisors, employees or your entire organization, we can customize a highly effective Model of Human Behavior also known as DISC training workshop to meet your needs. All sessions include a Model of Human Behavior Assessment for Each Participant Prior to the Workshop. DISC is the universal language of observable human behavior, or “how we act”. DISC does not measure education, experience, values or intelligence. It simply measures an individual’s behaviors, or how they communicate. How do I use DISC? With the knowledge of DISC, you can learn to understand and appreciate your behavior style and that of others. Then you can adapt your style to improve communication with others. This way you can expand on the golden rule… Instead of treating others as YOU would like to be treated, treat them the way THEY would like to be treated. The assessments are highly personalized and set the foundation of personal awareness to be used during the training sessions or one-on-one coaching. Through use of assessments and activities our workshops are interactive to ensure each participant is fully engaged from start to finish.